Fall is a season of such bodacious abundance. The farmers' market overflows with crisp pears and tart apples and Delicata squash ripe for roasting. Spending a chilly Saturday morning sifting through bundles of kale and chatting about the pumpkin harvest with your local farmer is a cherished fall experience. And it's one that I hope everyone will have access to as we continue to nurture the seeds for decentralized networks of food distribution. 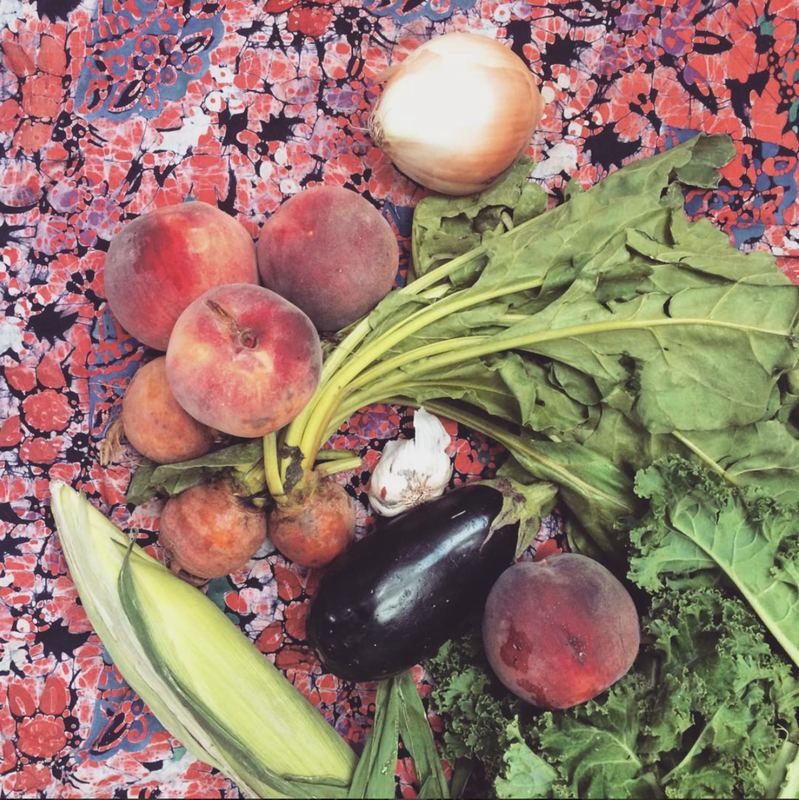 At farmers' markets, reciprocity—with the land and with each other—feels tantalizingly possible. I've worked in diverse urban agriculture spaces throughout the years and am often asked how to shop sustainably on a budget. This isn't a question that's always posed kindly—there's this prevailing assumption that eating ethically sourced produce is a privilege. The narrative of bourgeoise farmers' markets and overpriced organic produce is real and it's damaging. This isn't to say that there's no truth to it: some farmers' markets are pretty pricey and the value of organic certification is complex. But the alternative food movement is a pluriverse. Environmentalism isn't a luxury afforded only to those with disposable income. When we cling to that story, we perpetrate the idea that caring about the earth isn't a foundational value—it's an added bonus. That kind of thinking is a disservice to the rich diversity of farmers' markets and to the many people—from guerrilla gardeners to community agriculture activists—working to bring green food at good prices to the people. As a passionate environmentalist with a hearty appetite (I love to eat!) and not a lot of spare cash, shopping sustainably on a budget isn't a hypothetical for me: it's a lived experience. I am always striving to find ways to align my values and my actions whenever I sit down for a meal or tuck into a midday treat. I only have so much money to spend and I want to spend it wisely. I want to invest in systems change and sustainable agriculture practices that promote soil health. I want farmers to be paid for their hard work; I want food that heals and not harms our earth. With that in mind, here are three tips that you can bring into practice today to shop sustainably on a budget. We have this precious, wild life to live and tight funds shouldn't be an impediment to savoring the finer things. All that beautiful bounty featured in the top left photo? I nabbed it for less than ten bucks at my local farmers' markets by shopping seconds. Shopping seconds means buying the less-than-pretty fruits and vegetables that many farmers struggle to sell to customers raised on supermarket standards of what's edible. Luckily for us, a little blemish never hurt anybody! Buying ugly fruits and vegetables is a budget friendly way of reducing food waste and supporting sustainable agriculture. When I made the decision to live trash-light, I did so out of a deep desire to be more mindful about what I was wasting. I didn't expect to save so much money! But when you take most packaged foods out of the equation, shopping sustainably becomes second nature. By virtue of buying most of my food in bulk, I have found that I consume more whole foods and spend less money. Buying grains, nuts, beans, and sometimes (okay, all the time) dark chocolate-covered almonds in bulk gives me a little more wiggle room in my budget to go crazy at the farmers' market. One of the best ways to shop sustainably on a budget isn't shopping at all! When I can, I like to volunteer at my community garden. Most community gardens and local farms will give you an armful of veggies in exchange for a few hours of your time. It's a beautiful way to build relationships with the people who feed you, find solace in the loamy soil that nurtures us, and eat the very best that this season has to offer.